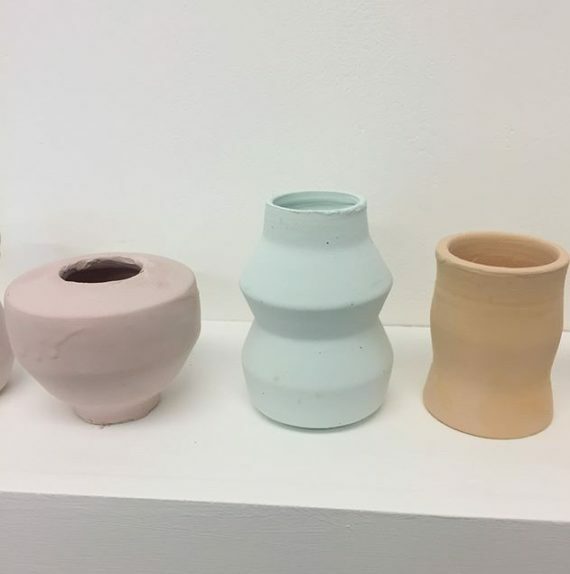 Swansea College of Art was the focus for our first a-n Instagram degree show takeover for 2018 with Anna Grace Rogers posting from the surface pattern design and fine art shows. In the fine art show, Chris Jenkins’ ceramic installation, which Rogers described as “subtle and thoughtful”, explores the concept of ‘gender performance’ and in particular the stigma that surrounds ‘masculinity’. 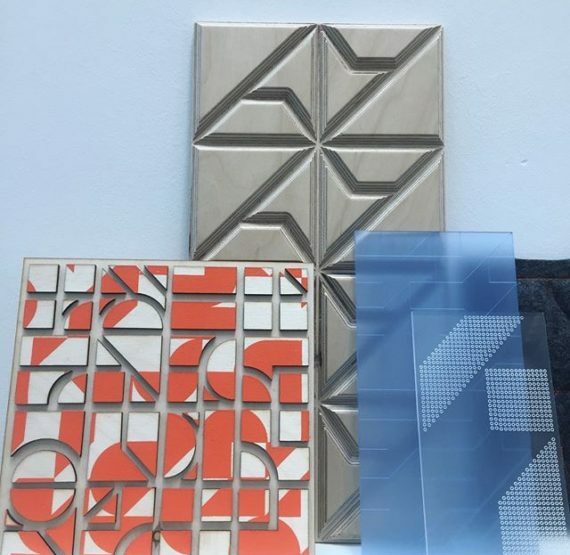 Also in the surface pattern design show, Hannah Beniamous‘ collection is inspired by textures and architectural forms from Italy’s Amalfi Coast. FK McLoone’s first takeover came from the fine art show at Duncan Of Jordanstone College of Art and Design. 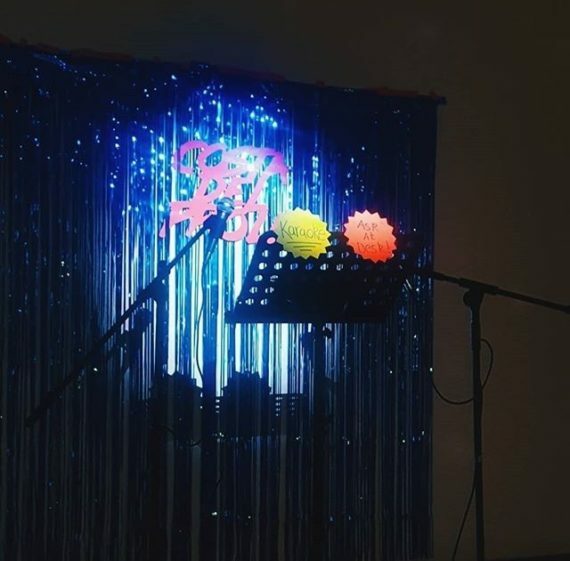 Included in the show, David McLeish’s installation Costa-Del-Prole! (top image and below) takes a tongue-in-cheek look at the future of Dundee as a tourist destination as gentrification takes its toll. “Souvenirs and karaoke also available for the authentic package holiday experience,” explained McLoone. Ruaridh Phillips’ experimental collages “take inspiration from the processes of nature and the landscape”. While McLoone described Caitie O’Hara and Reece Arshad as “two artists with a brilliant command of materials and scale”. O’Hara uses light and shadow to explore the social and political aspect of public architecture, while Arshad creates “imposing, monolithic structures that merge the industrial with the organic”. 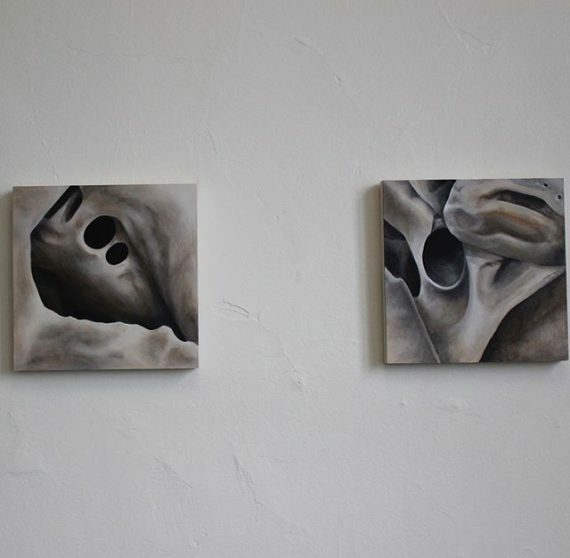 Rebecca Ainsworth visited University Centre St Helens BA fine art painting degree show for her first takeover. 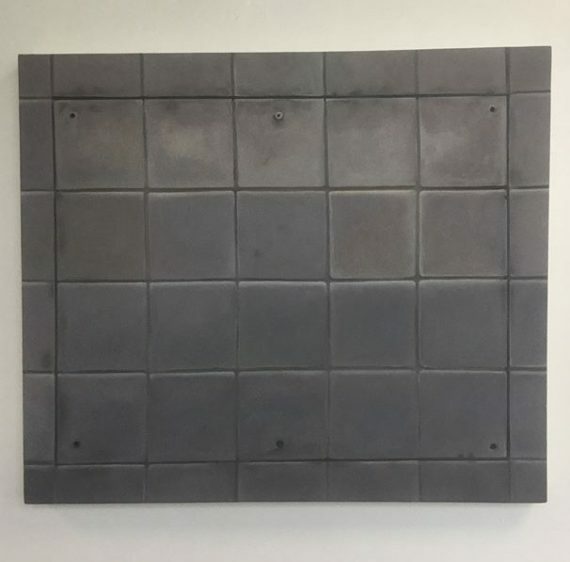 Also in the fine art painting show at University Centre St Helens, Faye Hall’s work is inspired by decay, abandoned buildings and cracked roads and pavements. “Hall rejects traditional methods, using an intuitive approach,” explained Ainsworth. “The materials used in her work strengthen the link between the source of inspiration. I love her mixing of painting and sculptural elements”. 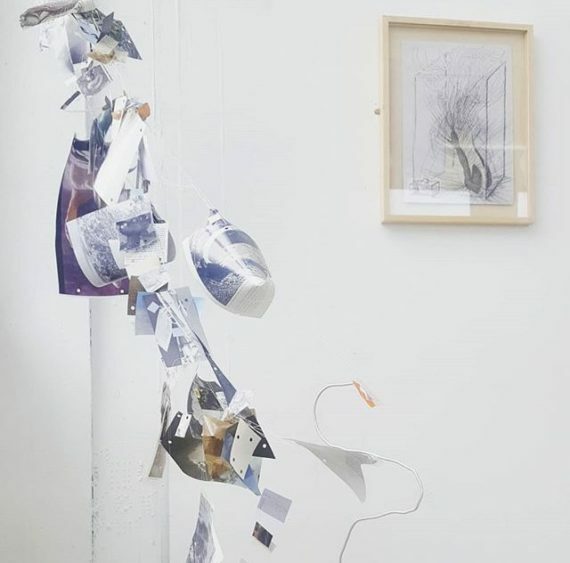 Next up: Janet Tryner visits the fine art, illustration and graphic design shows at Coventry University; Rebecca Ainsworth will be posting from Wirral Met College; and Anna Grace Rogers turns her attention to the Cardiff School of Art and Design degree shows.